Let this cute Santa brighten up your day. 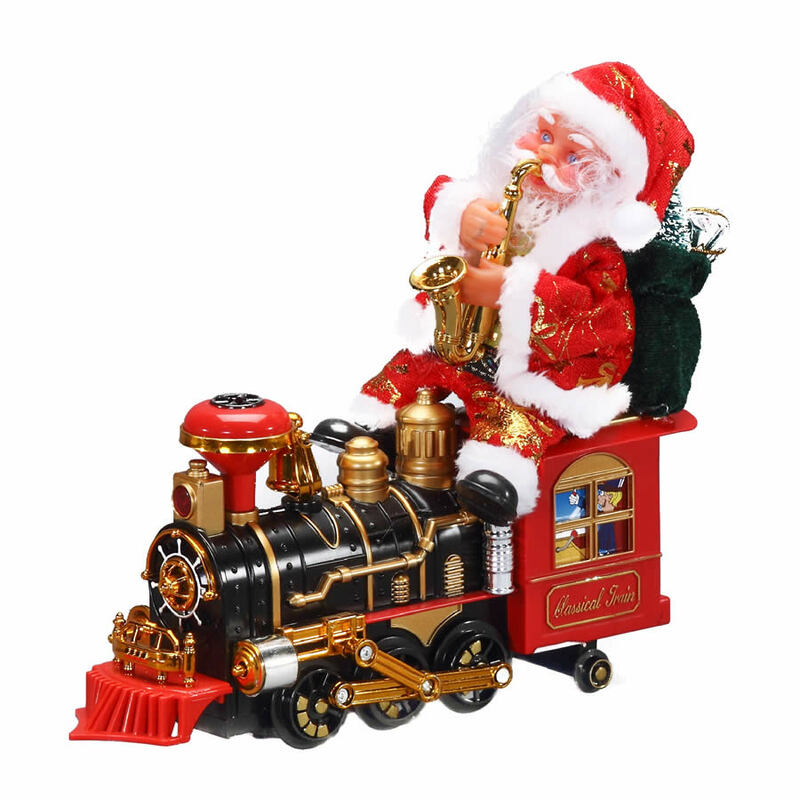 Santa sits high on his train in his gorgeous red, gold and white suit and plays saxophone as he rides. The steam train is highly detailed and beautifully painted. Who needs a sleigh when you’ve got a beautiful train to ride? At 30cm high, Santa can sit on your mantel and be the envy of your friends, or buy him as an outstanding gift for a friend or family member who adores Christmas collectibles. Whatever you do, don’t pass up the chance to add this sparky Santa to your Christmas decorations.